6.3" x 3.3" x 6.3"
The C3100™ Series siren speakers are lightweight, weather-resistant. Their low-profile design works will all Code 3 sirens. 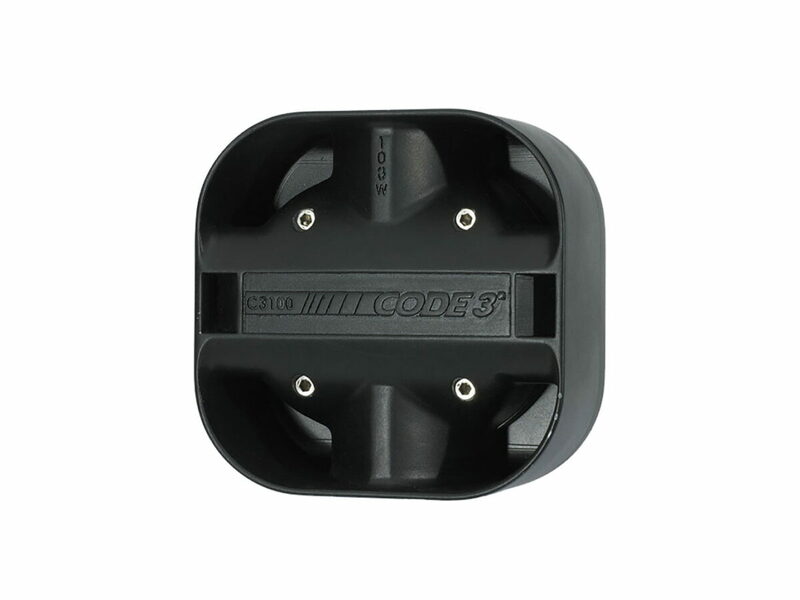 Features include high efficiency, easy to install grille mount, universal and vehicle specific mounting brackets, and produces low frequency tone with Banshee® amp.